It’s the post I just had to call … "Face Front!" Naturally, I checked the (earlier) reprint in Essential Thor Vol. 1, and saw that somewhere along the line, the text had been edited to read “FROST GIANTS” — which, of course, makes more sense, since the rest of the story features those kinds of giants. 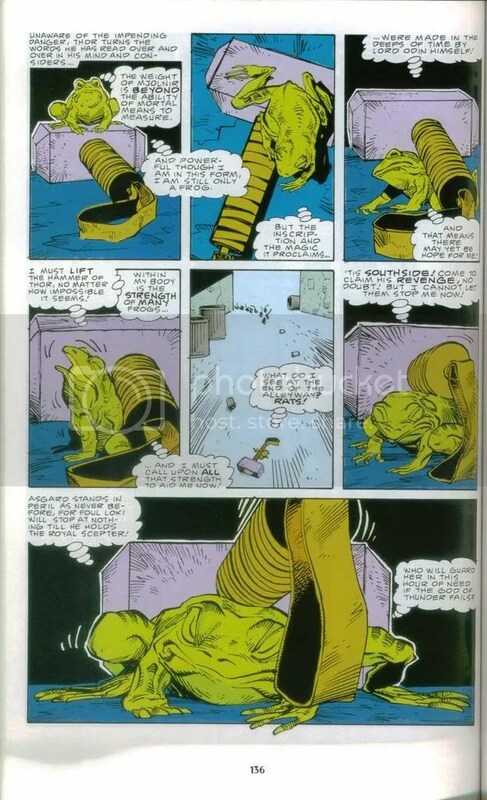 Indeed, it seems to me based on the lettering styles that the mistake was in the original, and that Marvel’s quality-control people were more concerned with the new computer coloring than with Smilin’ Stan’s natty narration. I presume the new reprints worked from a different copy of the original art. Still, you’d think a single issue would be easier to check than a thick Essential volume. Anyway, no big deal. At least it’s faithful to the original (well, except for the new coloring). I even learned a valuable gymnastics term! 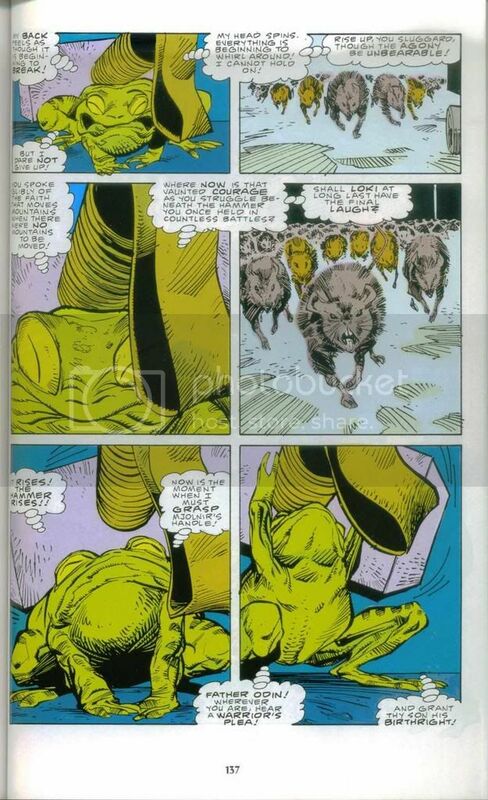 … but these two pages with Thor-Frog are pretty effective too. And, of course, it wouldn’t work if Thor-Frog weren’t THINKING!